Okay, so many of you just found out what a BB cream is. Now you may have seen that there are also CC creams! So what is a CC Cream and what is the difference between a BB and a CC cream? 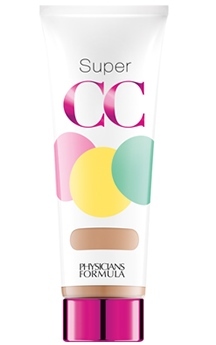 A CC cream is kind of like a BB cream. The CC stands for color correct or color care. (BB stands for beauty balm or blemish balm) They basically do the same thing. They are tinted moisturizers/primers for your face. You can wear them alone or as a primer under your foundation. CC creams are designed to be lighter in texture and have more color correcting pigments to hide discolorations and correct uneven skin tones yet still look natural. CCs can also have more light reflecting particles in them than BBs. As you all know by now, I am always checking which cosmetics are tested on animals and which are not. I came across a resource that I have not used before, Leaping Bunny. Eight national animal protection groups came together to form the Coalition for Consumer Information on Cosmetics. They have a nice shopping guide to look up cruelty free manufacturers. Here is the link. Sparkle and glitz are in for your eyes! Add a curvy line with some glitter liner. Add some rhinestones with a little eyelash glue. Put a little drop of eyelash glue on the back flat side of a rhinestone and apply it to the outer corners of your eyes or on your upper cheeks. 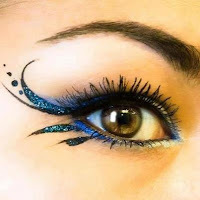 You can also use a little Vaseline to apply them, but they will brush off more easily than with eyelash glue. Find rhinestones in stores that sell nail design supplies such as Sally's Beauty Supply or you can find some in craft stores such as Michaels. Please Note: If you are allergic to latex, read your labels on the eyelash glue. Many lash glues contain latex. A hangnail is that hard dry piece of skin that sticks out at the side of your nail. They occur when the skin gets dry from the environment or too much contact with water, paper,chemicals or other drying substances. Don't pull it! Don't bite it! If your do, you can leave a nasty opening in the skin that can easily get infected. Use cuticle nippers to trim it off or wrap a bandaid around it until you can get to your nail technician to have it trimmed off. Help prevent hangnails by applying a little cuticle oil and a good moisturizer several times a day to help keep the skin moist. Protect the nails and skin by wearing gloves when cleaning to avoid excess exposure to water and cleaning products. Wear gloves when it's cold outside to protect the skin from dehydrating in the cold dry air. My favorite cuticle nippers size is 1/4 jaw nippers. Sometimes they can be hard to find. Shopping for new spring shadows? Think blue! 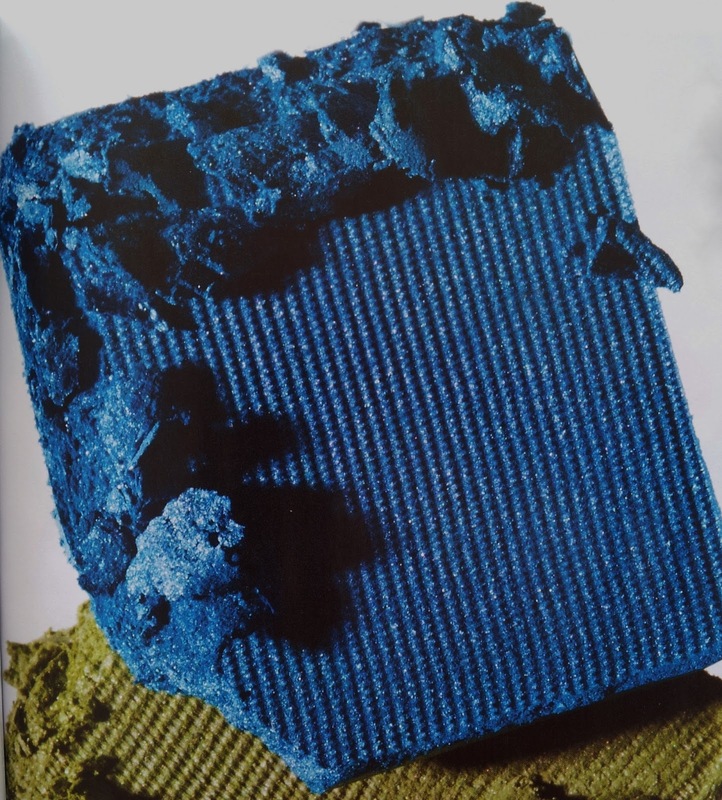 Look for blue hues in cobalt, navy and turquoise. Use them on your lids or as a liner, especially as a thick bold line under the bottom lashes. Blue pairs well with light taupes, beiges, golds, peaches, pinks and light soft grays. Try pairing blue with a light iridescent green for a bold peacock look. Q. Can I use the oil inside of a Vitamin E capsule to moisturize under my eyes? A. You can but it may be to heavy for the delicate under eye area and cause puffiness. You are better off using an eye cream. Eye creams are specifically formulated for the eye area and are less likely to cause puffiness. Here is an interesting tidbit about aspirin and the deadly skin cancer melanoma. Aspirin has been used to treat heart disease for years. Now a study from Stanford University shows that aspirin can also reduce the risk of the skin cancer melanoma. Over a 12 year period, 60,00 post menopausal Caucasian women who took aspirin at least twice a week had a 20% lower risk of melanoma. It is thought that the anti inflammatory and the anti blood clotting effects of aspirin are the reason. It is recommended that only high risk people take aspirin due to the stomach side effects that aspirin can cause. Aspirin is acetylsalicylic acid. It is a derivative of salicylate which comes from the willow tree and myrtle and has been used since 3000 BC as a medical remedy. Remember, always consult with your doctor before taking any medication. Recently, I have had 2 clients mention that drinking carbonated water is bad for your bones. I never heard this. I heard that soda is bad for your bones and teeth but not plain carbonated water. I enjoy my sparkling water and would hate to give it up. In fact, we have a Sodastream that turns plain tap water into carbonated water in an instant. I had to investigate. Thank goodness, I can keep drinking bubbly water! According to the various articles I have read, carbonation in water does not damage the bones or the teeth. A study was done on sparkling water vs. still water. One group of women drank one liter of still water each day. Another group drank a liter of carbonated water each day. There was no difference between the groups in the bone markers after 8 weeks. In fact, carbonated mineral waters can contain calcium which good for the bones! Colas, however, seem to be an issue due to their Phosphoric acid content which can interfere with calcium absorption. Here is a link to an interesting article by licensed nutritionist Monica Reinagel if you would like to read more. The Juicy Beauty Word is on facebook and Youtube! Want to give your special someone a great back massage right at home? Or maybe you want to have your special someone give you a great back massage! Watch my video Romantic Back Massage featuring beautiful music by Blake to learn how to do it! Enjoy! A new treatment for acne may be on the horizon! A recent study from UCLA found that there are both good and bad strains of P. acnes bacteria (Propionibacterium acnes) that live on the face and elsewhere on the body. Researchers believe that the good bacteria strain may protect the skin against the bad bacteria strain that causes acne. The study isolated more than 1000 strains of P. acnes. 101 volunteers, 49 with acne and 52 with clear skin, provided bacteria samples by using pore cleansing strips to extract bacteria from their noses. Two types of P. acnes were found in 1 out of 5 of the volunteers with acne. Those 2 types were rarely found in the volunteers with clear skin. There was a 3rd P. acnes strain found that was common on the clear skinned volunteers but was not common on the acne volunteers. This leads researchers to believe that this good strain protects against the bad acne causing strain. This is good news because it could lead to a new probiotic acne treatment. It also means that researchers can target the bad bacteria with new drugs that kill the bad strain but leave the good bacteria unharmed. Till then, we need to exfoliate the skin with salicylic acid, glycolic acid and oral and topical retinoids to help prevent blocked pores to minimize acne infections and use anti-biotics and benzoyl peroxide to help kill bacteria.